We’re all exposed to noise pollution in our everyday lives, but if you have a job where loud noise is a constant—like a racecar driver, heavy equipment operator, traffic cop, airport ground crew, or helicopter pilot—you need to protect your hearing with earplugs or earmuffs. Continuous exposure to noise levels at a high enough decibel threshold can put you at risk for hearing loss. Consequently, if careful measures are not exacted, hearing loss and inner ear injury can lead to permanent damage and, in some cases, full-blown deafness. Considering that intact auditory senses are an essential aspect for many occupations, it is essential to prevent injury for both personal and workplace compliance regards. For more information on hearing protection, read on to discover which hearing protection style is best for you. Discover how soundproof earplugs can contribute to complete silence and hearing protection with this article. Working in a modern environment involves offices made to encourage collaboration and creativity. These days many startups, and older businesses evolving with the times, have embraced this new style office and have forgone traditional offices and cubicles in favor of communal workspaces. With so many people talking across large tables, conducting conference calls on speakerphone, and meeting in groups to toss around ideas in front of a white board, your ears may need a little peace and quiet so that you can concentrate and get some work done. Not only does a good pair of earplugs help you to drone out white noise, it allows you to hone in on whatever mental tasks you have at hand. If your job requires constant concentration, but you’re in an open office space, earplugs will definitely help you. They are unobtrusive, so no one needs to know you’re wearing them, and they are very effective, even if they don’t block out absolutely all the office noise. For more aggressive protection, try noise-cancelling earmuffs. 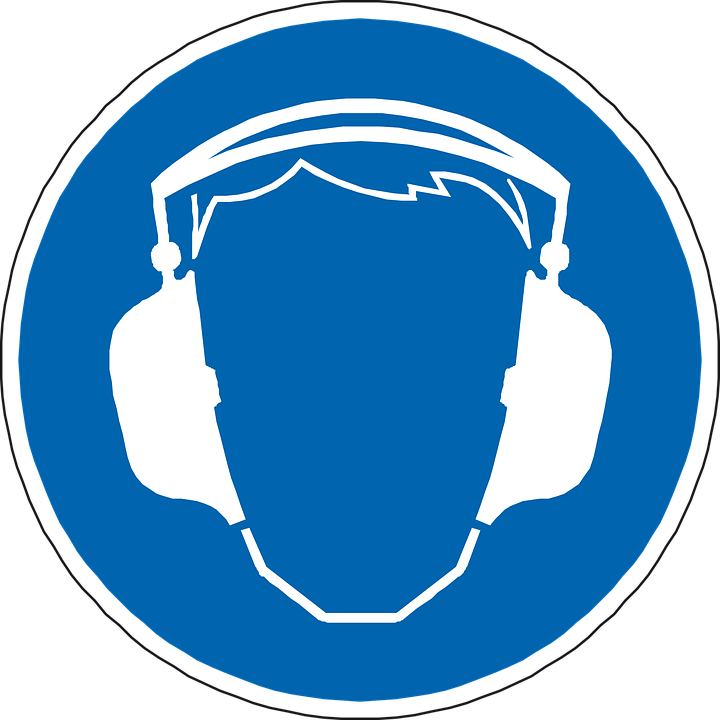 Although they’re very hard to miss, they generally offer more protection from office noise, and often even allow you to work in absolute silence. Headphones, also known as earmuffs, offer up terrific hearing protection. As with most products, they range in price and effectiveness. When you’re shopping, make sure you try them on. You’ll want them to fit well and be comfortable or else you probably won’t use them. They should be snug but not constricting. The best of these earmuffs are used in jobs where hearing protection is essential, like airplane tarmac crews and oil drill operators, but even if the law doesn’t require that you wear earmuffs at work, some people still embrace the earmuffs for their high-end protective qualities. Alternatively, listening to music with noise cancelling headphones is a fantastic way to isolate any external disruptions. These small, pliable, foam fitting earplugs go into your ear canal and leave you with your own thoughts—not the conference call going on just feet away. They even come with a connective cord if you want to make sure you don’t lose one until you’re ready to throw them away. Earplugs come in a range of fun colors, and they are inexpensive, so if you do lose one or two, it’s not a big deal. In fact, they are usually sold in bulk and meant to be disposed of regularly. Don’t expect them to last a very long time. Disposable earplugs do get dirty, and while you can wash some types, it’s probably best to follow the guidelines of when to toss the old ones and open up a new pair. Although hearing protection is designed to safeguard your auditory senses, it is also crucial to consider your hygienic purposes as well—continuously reusing dirtied earplugs can be detrimental to both hearing protection and the wellbeing of your ears. In some cases, you’re going to need good hearing protection, but also the ability to hear if someone is speaking to you. If you’re not a musician—or you don’t have the budget for custom-made ear plugs, try using a plug in one ear if you really need to hear out of the other ear. Depending on what you’re listening for and how good your hearing currently is, you might be able to hear through the earplugs. Don’t forget that kids need hearing protection, too. If you plan on bringing your child to loud places like movie theaters, sporting events, or even church, consider some child-sized earmuffs to protect them from unnecessary damage to their hearing. It’s never too early to start protecting their hearing. It’s an active, cacophonous world, and it’s nice to take a break from the noise once in awhile—even during the work day. Start using hearing protection now, and your ears will thank you for the respite.